Legal liability can potentially befall any individual in a variety of situations in everyday life. It also often befalls health care professionals in the provision of health care to patients. Nurses are no exception. Although liability may seem like a foreign concept to a non-lawyer or non-risk manager, it is not as complicated a legal rule as it might suggest. From a very basic standpoint, liability means responsibility for your behavior or responsibility for not doing something you did or you should have done in the eyes of the law. In legal terms, this is the concept of personal responsibility; that is, you are accountable and responsible for your own actions or inactions. Because of this principle, it is difficult to shift the total burden of what you did or what you should have done or not done to another person and say: “It was his fault” or “She told me it was OK to do that”…and therefore, so the defense goes, “I should not be liable”. For example, if you are in a car accident and the allegations against you are that you ran a red light, it would not be a defense to say: “The car ahead of me went through the red light so I thought I could do so too”. Personal liability is ever-present in your professional life. As you know, all nurses must be licensed in the state or states in which they practice. Nurse licensees are personally responsible and accountable for knowing the state nurse practice act and its rules, responsible and accountable for practicing within the legal parameters of the state nurse practice act and rules, and responsible and accountable for knowing and adhering to all laws, state and federal, and all ethical mandates that are applicable to the practice of nursing. If there is an allegation that you violated the nurse practice act or its rules in some way, the state board of nursing can initiate a disciplinary action against you. If you are found responsible—liable– for the alleged violation, your license can be placed on probation, you may face a reprimand by the state board of nursing, and/or you may be required to pay a fine, as examples. Again, attempting to shift the burden of your liability entirely to someone else—“No one ever practices consistent with the nurse practice act where I work, so why should I?”—will not be helpful in defending your liability for your actions. As a licensed practical nurse (LPN), licensed vocational nurse (LVN), a registered nurse (RN), then, you are also responsible for your own actions or inactions in the provision of care to patients. When an injury or death of a patient occurs, you cannot attempt to deflect your potential liability for your conduct to another. Rather, during a trial alleging you were professionally negligent, your conduct will be carefully evaluated by the attorney for the patient or his estate and your conduct will be judged by what other ordinary, reasonable and prudent registered nurses (or LPNs or LVNs) would have done in the same or similar circumstances in the same or similar community. The latter is called the standard of care and is established in a professional negligence trial by a nurse expert witness. It is important to note that the patient or his estate will also attempt to establish the standard of care with his or her own nurse expert witness. When employed by a hospital, nursing home, home health care agency or other health care employer, the nurse employee also carries with him/her another form of potential liability, that of the vicarious liability of the employer. If there is a patient injury or death while working as an employee and within the scope of your employment for your employer, not only may the patient include you in a professional negligence suit as a named defendant, but the plaintiff can also name the employer in the suit, even though the employer itself did not directly provide the patient care which is the subject of the lawsuit. This principle of vicarious liability, also called respondeat superior, is based on the fact that health care employers hire health care providers, including nurses, to carry out the business of delivering health care. The health care facility is required to hire competent, skilled and non-negligence health care providers. Thus, if an injury or death occurs, the potential liability for that injury or death may also be attributed to the employer. Nurses may also be involved in a suit alleging criminal liability. As an example, if a nurse diverts controlled substances from the employer and is caught, the nurse can face criminal charges such as theft, possession of a controlled substance, and/or forgery of hospital documents. Conviction of the crime alleged can result in jail time, a fine, probation and disciplinary actions by a state board of nursing, including the suspension of one’s license. The examples of the types of liability presented here are just a few examples that you face in your nursing practice. No one is perfect and you should not expect that you will be perfect in your professional practice. However, you are expected to perform your nursing care in a non-negligent, caring and competent manner, and to take responsibility for that nursing care. If you practice on a daily basis with those goals in mind, potential liability will be less of a realistic concern for you. 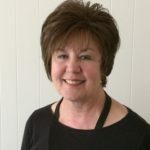 • If a registered nurse (RN), remember to assess patients initially and on an on-going basis thereafter, utilizing input from licensed professional nurses (LPNs), licensed vocational nurses (LVNs) and other nurse staff members. I hope you will submit comments about liability concerns you may have in your practice and that you will share concerns and comments about other issues that affect you as a practicing nurse professional for future Bulletins. It is my objective that this Bulletin becomes useful to you as a tool to learn more about the law and your nursing practice. Bryan Garner, Editor in Chief (2001). Black’s Law Dictionary. Second Pocket Edition. St. Paul, MN: West Group. 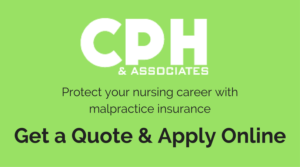 Deanna L. Reising and Patricia Allen (2007), “Protecting Yourself From Malpractice Claims”, 2 (2) American Nurse Today Available at http://www.americannursetoday.com/Popups/ArticlePrint.aspx?id=430. Accessed: September 30, 2011. THIS BULLETIN IS FOR EDUCATIONAL PURPOSES ONLY AND IS NOT TO BE TAKEN AS SPECIFIC LEGAL OR ANY OTHER ADVICE BY THE READER. IF LEGAL OR OTHER ADVICE IS NEEDED, THE READER IS ENCOURAGED TO SEEK SUCH ADVICE FROM A COMPETENT PROFESSIONAL.